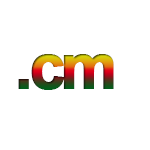 Cameroon is another country where You can register Your domain name without restrictions. To register .cm domain it takes aprox 45 days. Domain name can cmcontain from 3 up to 24 characters. You can register unlimited amount of domains.